Want To Win the Collaboration Game? 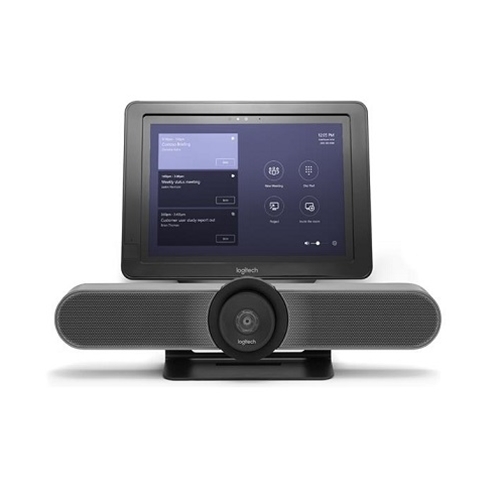 Logitech Skype Room System bundle with Logitech SmartDock, Microsoft Surface Pro 4 and Skype Meeting app and MeetUp. 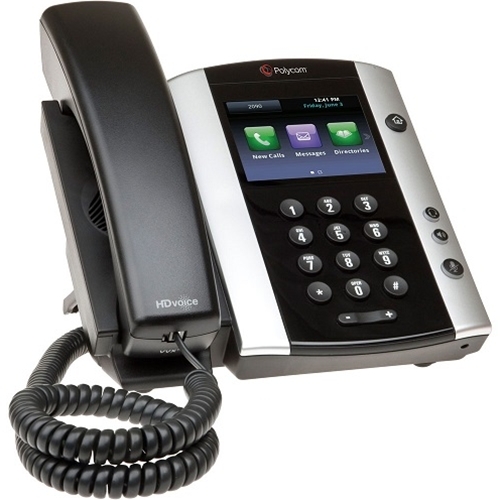 For meeting rooms with up to 5 participants. 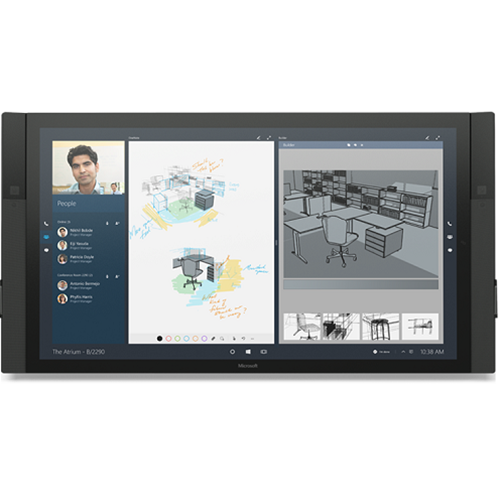 Leave your laptop at your desk, walk into any meeting space, and start an optimized Skype for Business video conference with one-touch join. SmartDock enables expanded I/O for Surface™ Pro 4 that includes support for dual HDMI displays, three USB 3.1 ports and Gigabit, allowing the IT administrator to connect devices. Logitech MeetUp is a premier ConferenceCam designed for small conference rooms and huddle rooms. With a room capturing, superwide 120° field of view, MeetUp makes every seat at the table clearly visible. Microsoft Surface Hub 84". Unlock the power of the group with Microsoft Surface Hub, a powerful team collaboration device designed to advance the way people work together naturally. Schedule meetings in advance with Skype for Business or invite remote attendees ad hoc. Start meetings with a tap of the screen. 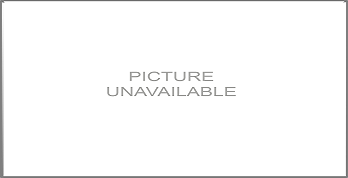 End your session with an option to save and send meeting content. Share content from laptops,tablets,or phones. 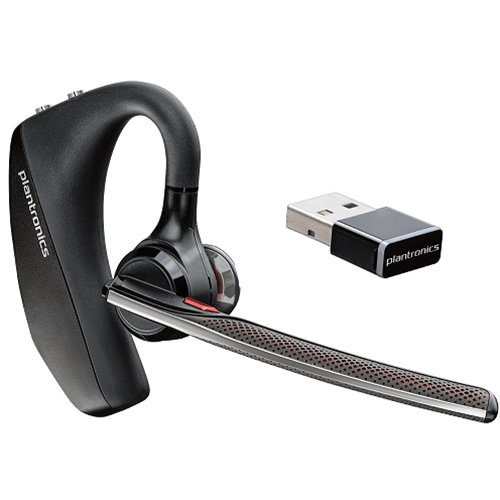 Whether you’re in an open office or on a crowded flight, taking calls or listening to music, the boomless Voyager 8200 UC Bluetooth® headset with active noise canceling lets you focus on what’s important, in comfort and style. 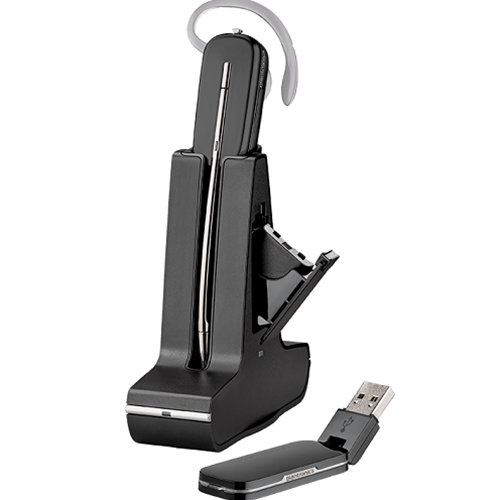 The Voyager 8200 will connect to both your mobile device and your computer at the same time. 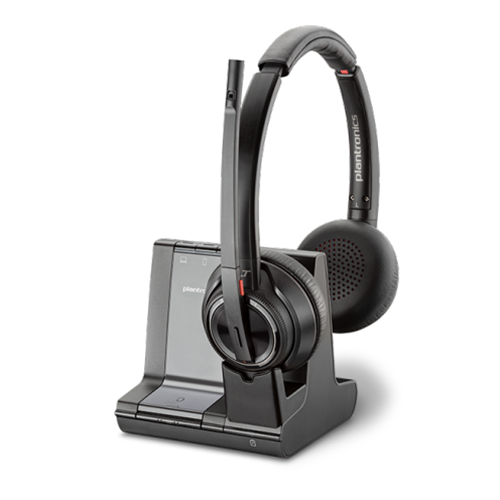 For PC-based office and remote workers, the Savi W445-M offers excellent audio quality, up to 300 feet of wireless range, can be worn over the head, over the ear or behind the neck and has a hot swappable battery for unlimited talk time. Talk Time : Unlimited(w/ Spare Battery), Standby Time : 36 hrs. We are super friendly and would love to talk to you!